June 30 Uprising day falls on June 30 each year and celebrates the June 30, 2013 protests against the new Mohamed Morsi's government of Egypt. People can remember the sacrifices and pay respects to those protestors that lost their lives to change the current leadership in government. 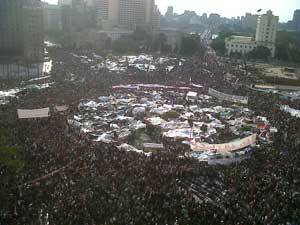 On June 30th 2013 large protest occurred in Egypt opposing President Mohamed Morsi's government. The people were complaining of the Presidents increased powers for him and the taking away of certain liberties of the people. On July 3 it was announced by General Abdel Fattah el-Sisi who was head of the Egyptian Armed Forces that Mohamed Morsi had been removed as President and replaced by Adly Mansour.